In this Kindle Direct Publishing (KDP) vs. Smashwords review, you’ll see that both platforms let you sell e-books online, but each targets different audiences. Kindle Direct Publishing lets you sell e-books to readers using Amazon Kindle devices, which account for 70 percent of e-book sales worldwide. Smashwords distributes e-books across marketplaces that cover the remaining 30 percent. Use Kindle Direct Publishing to self-publish books on Amazon. Through KDP, independent authors and small publishers can list and sell e-books to readers using Amazon Kindle devices, plus sell print-on-demand books and audiobooks. In this Kindle Direct Publishing review, we’ll cover how KDP works and explore how it differs from another major e-book marketplace, Smashwords. Use Smashwords to publish e-books on Smashwords.com and on Apple iBooks, Barnes & Noble, Kobo, Scribd and more. Our Smashwords review explores how this platform differs from Kindle Direct Publishing’s Amazon-focused sales. You’ll see how to sell e-books on Smashwords.com, distribute them on other sales platforms and track all sales and royalty payments within one centralized dashboard. For most indie authors, the Kindle Direct Publishing vs. Smashwords debate isn’t an either/or question. Rather, it’s understanding how both of these major e-book publishing platforms help you list, promote and sell e-books and the differences between them. Our in-depth Kindle Direct Publishing vs. Smashwords review clearly shows that using both marketplaces helps authors reach e-book readers wherever they shop. 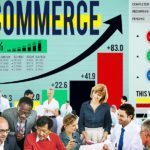 However, there are particulars to each platform that you need to know as you plan your ongoing e-book sales and marketing strategy. Inclusion in online libraries: Both platforms list your titles in online libraries; Smashwords makes titles available to libraries via library-specific distribution platforms while Kindle Direct Publishing has its own libraries but requires KDP Select enrollment to be listed. Since there are no upfront costs to using either platform, we recommend indie authors include both platforms in their overall e-book publishing plan. Kindle Direct Publishing reaches Amazon’s huge Kindle reader base. 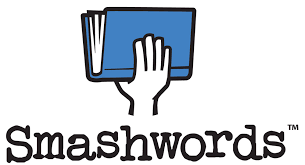 Smashwords’ vast distribution network reaches e-book shoppers using all other e-reader devices and online e-book reading platforms. The real question is when and how to tap each platforms’ specific benefits. Our Kindle Direct Publishing vs. Smashwords review below will help you decide that. In our Kindle Direct Publishing vs. Smashwords review, you’ll find the basics are quite similar. Both platforms are completely free to use and will automatically convert your manuscript files into e-book format. Both also pay you royalties — a percentage of the sale price of each e-book you sell — on a monthly basis. Royalties range from 35 to 70 percent on Kindle Direct Publishing and 60 to 85 percent on Smashwords. These percentages are based on the pricing and distribution choices you make, which we detail below. Both platforms also give you complete control over your e-book pricing and promotional activities. However, Kindle Direct Publishing provides few promotional tools for titles not enrolled in KDP Select. KDP Select promotions like free reads, discounts, and inclusion in Kindle Unlimited (KU) and the Kindle Owners’ Lending Library (KOLL) help you reach the widest audience on Amazon. The caveat is KDP Select titles can’t be published anywhere else, including Smashwords. Smashwords, on the other hand, has no exclusivity limitations. It gives you unfettered access to all of its distribution platforms and promotional tools, regardless of where else you publish your e-book. So, for many authors, the question is whether to publish on Amazon alone and tap KDP Select or forego KDP Select’s benefits and use Kindle Direct Publishing for Amazon listings and add Smashwords for broad platform distribution. Here’s a closer look at each to help you plan your strategy. Amazon Kindle Direct Publishing is completely free to join and listing e-books to sell on Amazon is completely free too. In fact, the only real cost of selling e-books on Amazon is the distribution freedom you give up if you enroll a title in its optional KDP Select program. If you go this route, any title that’s enrolled in KDP Select cannot be sold elsewhere at all, including Smashword.com and its partner platforms. In exchange for exclusivity, KDP Select gives you many Amazon-focused promotional benefits that we cover throughout this Kindle Direct Publishing review. 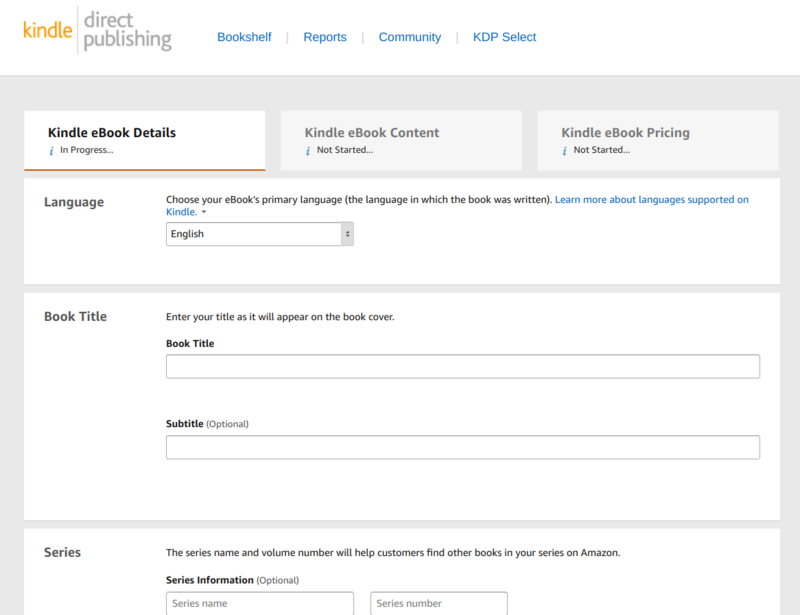 Any published e-book can be enrolled in KDP Select at any time from your Kindle Direct Publishing dashboard. You can enroll an e-book in KDP Select when you list it for sale or later on. When you do enroll a title, it’s a 90-day commitment. You can elect not to renew enrollment at the end of 90 days or renew it forever — it’s all up to you. Many authors launch a new title using KDP Select to take advantage of the Amazon-focused promotional tools. Later on, they remove it from KDP Select and add it to Smashwords for distribution beyond Amazon’s borders. Kindle Direct Publishing distributes your e-book on the United States and international Amazon Kindle marketplaces. That’s it. Smashwords is the hands-down winner here with a distribution platform that reaches every major e-book sales platform imaginable, plus lists your title with many smaller e-book retailers and library directories. Clearly, Amazon prefers — and encourages through this royalty system — that authors set a reasonable price for their e-books so both they and you can make money. Smashwords pays authors a slightly higher royalty — 85 percent — for sales on the Smashwords platform, but a lower royalty — about 60 percent — for sales made on its partner platforms like iBooks, Barnes & Noble, Kobo and others. Pages read: Authors are paid based on the total number of pages read per month by borrowers. Amazon tracks page reads via Kindle pages read stats. KDP global payout fund: This is a “pot” of money that Amazon reserves to pay authors based on “page reads” for borrowed books. The amount-per-page is based on the total in the “pot” and is split among all participating authors and titles. Currently, the payout averages around 1/2 cent per page. The per-page payouts can pale in comparison to selling a title outright. However, KU and KOLL put titles in front of a huge audience of readers that specifically seek “free” KU and KOLL titles to read rather than purchase e-books. So it’s an effective way for Amazon authors to allow free reads and make money doing it. Kindle Unlimited subscribers pay $10 per month to read KU-listed titles for free, and titles display KU availability prominently in Amazon’s e-book listings. Any Prime member who owns a Kindle can borrow a single title at a time through the Kindle Owners’ Lending Library. Unlike Kindle Direct Publishing, Smashwords lets authors list e-books for $0 outright and without any stipulations whatsoever. This can be very handy for businesses that want to distribute free e-books as marketing tools. However, there is a trick that Kindle authors that list e-books on both Amazon and Smashwords can employ to list e-books for free on Amazon. Amazon runs price-match comparisons against other e-book sales sites. If it finds your e-book title listed for $0 on Smashwords and its partner platforms, it might lower your price to free automatically. This is something to be aware of if free pricing is part of your e-book strategy. Amazon might take care of this for you on its own. Even though Smashwords covers virtually all non-Amazon e-book marketplaces, Amazon e-book sales still beat Smashwords soundly. It captures roughly an 80 percent market share of U.S. e-book sales and a good portion of global e-book sales as well. According to Author Earnings’ annual state of the e-book industry, Amazon e-book sales top other platforms, especially in the U.S. and other English-speaking countries. Kindle Direct Publishing uses .mobi e-book file format, and there are several ways that you can create this Kindle format e-book file. You can access free file conversion tools in your KDP dashboard, which formats .doc files like a Microsoft Word document into .mobi e-books for you. KDP can also convert .ePub e-book files into .mobi when you create a listing and upload your e-book file. Smashwords has file conversion features as well. However, unlike KDP’s one Kindle reader format, Smashwords offers nine e-book formats so readers can use the device of their choice — Apple and Android devices, Nook and Kobo, along with various online and mobile e-reader apps. Kindle Direct Publishing lets you list your e-book for sale on the Amazon Kindle reader marketplace. Plus, you get a free author page to list your biography and published titles in one central place. You can also list links to your e-book titles on your own website and in social media and email marketing, plus you can run paid ads on Amazon to promote your book. Some of the most effective Amazon marketing features, such as free giveaways, limited-time discounts — called Countdown Deals — and inclusion in Kindle Unlimited, are available only through KDP Select enrollment. This requires Amazon sales exclusivity during the 90-day enrollment period. So, while effective for many authors, it limits you to listing the title on Amazon alone. Smashwords has no exclusivity caveat for its promotional features. Kindle Direct Publishing and Amazon make it easy to list and sell your e-books from your own website, and you can even make extra money doing it. If you have your own website, you can sign up for Amazon’s affiliate program, called Amazon Associates. This is free and, once you’re signed up, you can list your titles on your site using trackable links called affiliate links. These can be simple text links that you insert into your blog copy or ad-style listings that you can insert into website pages or sidebars. When a fan buys your e-book link via this link, you’ll make an added 4 percent commission on the sale from Amazon. This is a nifty way for authors to make a little extra on their Amazon Kindle book sales. All you need is your own website, which you can launch today for just $2.95 per month on Bluehost. 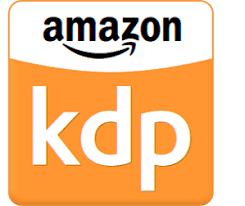 Kindle Direct Publishing has a built-in print-on-demand paperback book option that you can enable on any e-book that you publish on the KDP platform. Print options are printed when a customer orders the title, so there are no upfront costs. However, Amazon does charge a per-print fee, which varies based on the length and layout of your book. So, you need to ensure that you understand these costs and cover them in your print book option price. You can also distribute your titles in audiobook form for Audible users via Amazon Kindle Direct Publishing. This is also conveniently built into KDP, but you have to have a professional audiobook file produced to use this feature. The audiobook recording pros at Fiverr can help you with this. Smashwords has a built-in audiobook tool, but not a print-on-demand tool. You can link to a print book or print-on-demand listing from your Smashwords e-book listing, but print-on-demand isn’t a built-in feature, like KDP. Kindle Direct Publishing titles enrolled in KDP Select are eligible for listing in Amazon’s subscription Kindle Unlimited library and the Kindle Owners’ Lending Library. Outside of KDP Select, there aren’t any library listings available for Kindle Direct Publishing e-books. Smashwords, on the other hand, places your e-book on several library-focused e-book listings so libraries can purchase and include your e-book in their listings and expose your work to a wide reading audience. Like Amazon Kindle Direct Publishing, Smashwords is completely free to join and list e-books to sell across its many marketplaces. Smashwords is the original — and still the largest — centralized e-book distribution platform. Upload your e-book to Smashwords, and it takes care of properly distributing it across all partner platforms for you. With Smashwords, you can track all of your e-book sales via its centralized sales dashboard, plus royalty payments from all platforms conveniently funnel through Smashwords. In contrast, Amazon’s reach, while impressive in terms of readership, is limited to the Amazon marketplace. So, in terms of selling e-books beyond Amazon’s borders, Smashwords is the hands-down winner. 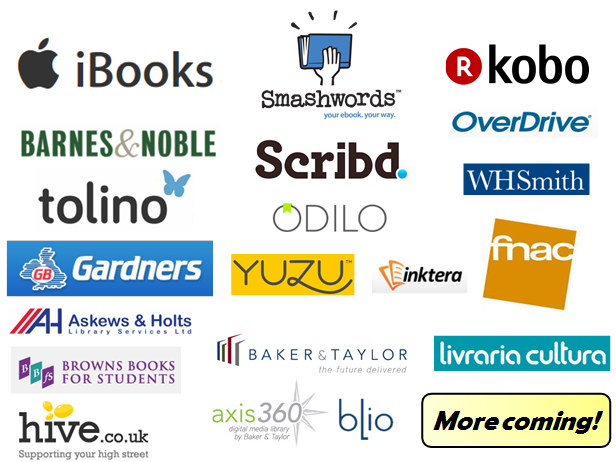 Upload your e-book to Smashwords one time, and it will wind up on all of these marketplaces, and more. Smashwords’ Channel Manager feature lets you select the e-book marketplaces and library listings per title. Amazon is included, but only titles with more than $2,000 in total sales via Smashwords partners are eligible. Most authors just manage Amazon on their own. Now, you may not have heard of these alternate e-book platforms yet, but many are quite popular and have dedicated followings. Who knows what fan base you might uncover on an unconventional e-book site served by Smashwords? Royalties for sales of e-books through Smashwords.com are 85 percent of the sale price, which beats KDP’s top royalty level (70 percent) by 15 percentage points. For example, a $4.99 e-book sale on Amazon pays you $3.49; for the same e-book sold via Smashwords, you make $4.24. Royalties for e-books sales made on Smashwords’ distribution partner platforms like iBooks, Barnes & Noble, Kobo and others, average about 60 percent after Smashwords takes its 10 percent distribution fee. So, a $4.99 e-book sales made on one of Smashwords partner platforms pays on average $2.99. Simply put, Smashwords is both an e-book sales marketplace and distribution platform. It pays you an 85 percent royalty for sales made on its own site but takes a 10 percent cut of your gross royalty earnings on sales made via other platforms like iBooks and Kobo. This averages out to be a 60 percent royalty for sales made on other platforms via Smashwords distribution. While you can potentially make higher royalties managing listings and sales on every platform yourself, Smashwords’ all-in-one distribution saves loads of time by handling it all for you. Using Smashwords, you upload your e-book and create a listing once. It then distributes your listing across all platforms, tracks your sales and funnels your earnings into one centralized system. If you’d rather spend your time writing and publishing more e-books — and not managing listings and sales on multiple platforms — the 10 percent fee likely is well worth it. 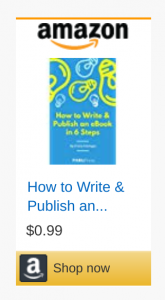 Unlike Amazon Kindle Direct Publishing, you can list an e-book with a $0 price on Smashwords. This is a great way to easily distribute free e-books for free review reads or to market business or personal expertise. Smashwords covers virtually all non-Amazon e-book marketplaces, but even at that, it taps only about 20 percent of the e-book Market across the U.S. Amazon is the undisputed winner of this round. However, Apple iBooks and Barnes & Noble Nook e-book readership are gaining ground too, and Smashwords puts your e-book on those listings for you. Author Earnings tracking shows Amazon’s market dominance, but Apple iBooks and Barnes & Noble are gaining ground and Smashwords puts your title in those listings. Smashwords converts .doc files into all seven of the e-book format that it supports. You can download the free Smashwords style guide to help you set up your file. You can write and format your e-book in Word or another word processing program, upload the .doc file to Smashwords, and it will convert it for you like KDP. However, a simpler way to quickly publish an e-book is to use a free online e-book creation tool like Reedsy. In Reedsy, you can write and format your e-book easily and save it as a Smashwords-ready ePub e-book file. This is the format that most e-book marketplaces and e-readers use and it can be a much simpler way to get the job done if you’re not a Word pro. Smashwords provides a nice set of promotion tools and, unlike Kindle Direct Publishing, it doesn’t limit access to any tools or require any exclusive agreement. 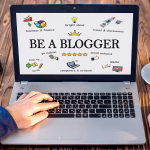 You can use coupons to promote your e-books, participate in sitewide promotions and sales, run preorders and create an author page for your bio and book listings. Smashwords also has an automated email to alert your fans when you publish a new book. Along with this, you can use links to your Smashwords.com listing — remember that this gives you an 85 percent royalty — on your own website, in social media and in email marketing. Like Kindle Direct Publishing, Smashwords makes it easy to list and sell your e-books from your own website. You can insert sales-style listings for your e-books into content areas, banners, or sidebars. All you need to do this is your own website, which you can launch today for just $2.95 per month on Bluehost. 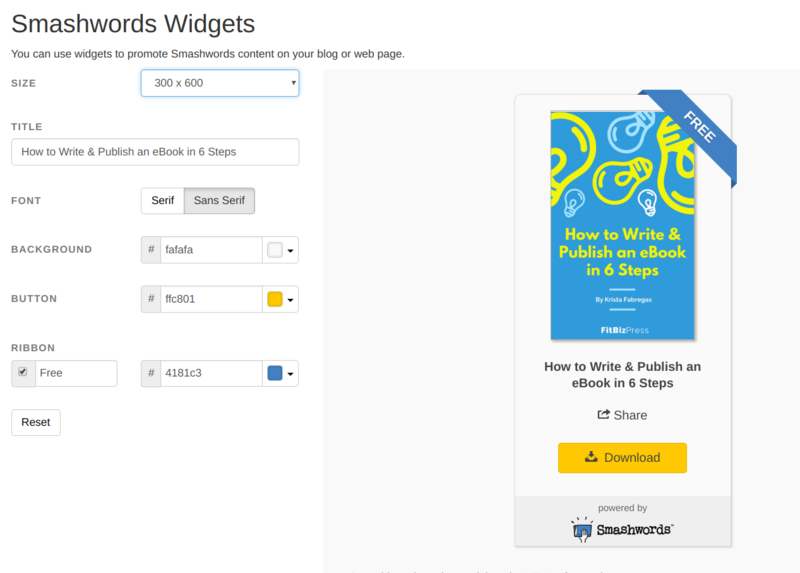 Smashwords Widgets let you list e-books on your own website with customized banners and sales-style listings. Unlike Kindle Direct Publishing, Smashwords doesn’t offer a built-in print-on-demand paperback printing option for your e-book titles. You can link a print or print-on-demand book listing to your Smashwords e-book listing, but you’ll need an outside service to take care of the printing. However, Smashwords does have a partnership with Findaway Voices for audiobook production, which does have associated costs based on the length of your book. Once produced, you can offer the audiobook for purchase alongside your e-book listing on Smashwords. You can also use audiobook recording pros at Fiverr for production, and then link to the audiobook distribution site page from your Smashwords e-book listing. Smashwords beats Kindle Direct Publishing in this arena by making your e-book title available in several online library platforms including OverDrive, which powers the e-book listings of more than 20,000 public libraries worldwide including 90 percent of U.S. public libraries. Smashwords authors can set a library price for their listings and earn a different royalty, on average 45 percent, of library sales. Provided that you’ve written and formatted your e-book correctly, our Kindle Direct Publishing and Smashwords review revealed that setting up an e-book listing on each is surprisingly simple. 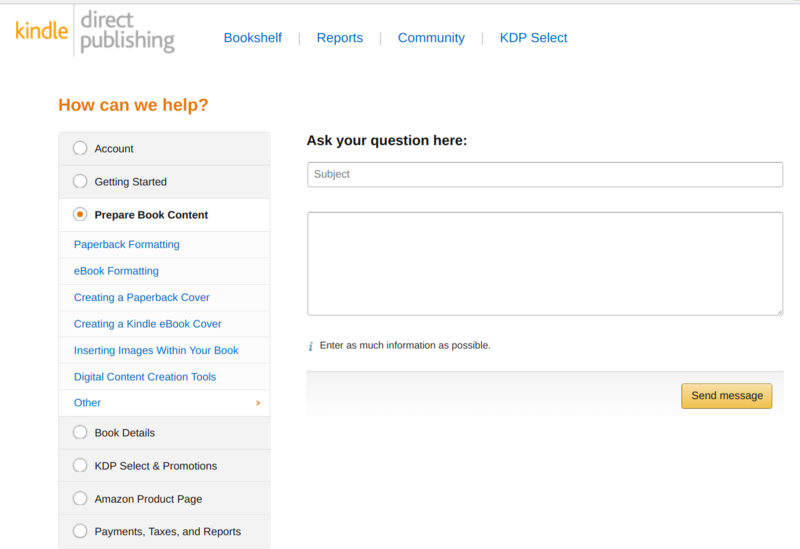 Once your e-book is complete, uploading it to Amazon takes just minutes in your KDP dashboard. Kindle Direct publishing also provides authors with an array of free e-book creation and conversion tools that you can explore the minute you sign up. However, if you need help with editing, formatting, or cover design, the budget-friendly freelance at Fiverr will give your e-book professional polish. Your KDP Dashboard knowledgebase guides you through account setup, e-book formatting, promotional tools and sales tracking. Smashwords’ signup takes just minutes, as does adding e-book listings to your account. Smashwords pays authors via PayPal. So, unlike Amazon, you don’t give Smashwords your bank account information — just your PayPal account information. Once added, your e-book is available for sale instantly on Smashwords.com. Smashwords then reviews your e-book to ensure it meets its Premium Distribution formatting guidelines for inclusion on platforms like Apple iBooks, Barnes & Noble and Kobo. As long as you meet the guidelines and upload a properly-formatted e-book, your title will soon be available across Smashwords’ many partner platforms or just those you selected in your Channel Manager as noted above. In our Kindle Direct Publishing and Smashwords review, we found that neither platform offers direct customer service. Both provide a ton of online knowledgebase and user forum support tools — but personal service? Forget it. Contact is available via an online form, but each platform encourages you to check out all of the online support options first. That said, if you format your e-book correctly and follow the each platform’s publishing guidelines, you shouldn’t run into problems getting your titles listed and tracking sales. Your KDP Dashboard is home to Kindle Direct Publishing author tools, knowledge base information and complete tutorials that cover every aspect of selling e-books on Amazon. If you have a question, the “Contact Us” tab ultimately leads you to an online form where you can submit a question. 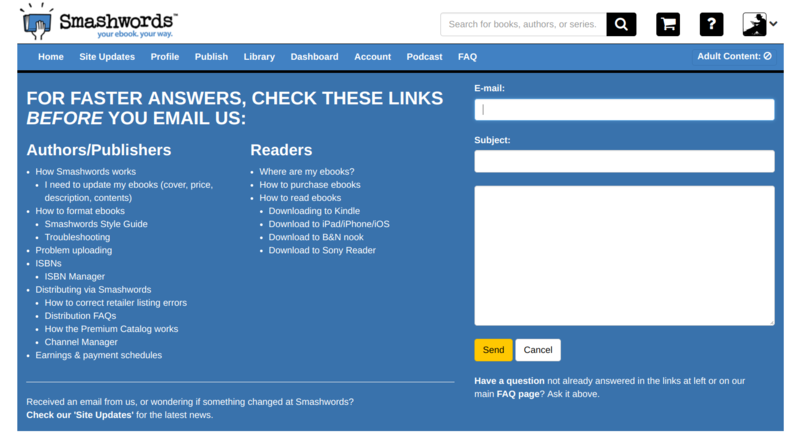 Smashwords’ contact form also lists quick links for answers to common questions. Authors who use Kindle Direct Publishing, Smashwords or both are vocal about the pros and cons of each. You can visit all sorts of author forums and the KDP and Smashwords user forms to see what works and what doesn’t for all types of writers. However, if you want to self-publish e-books, you’re likely going to have to use one or both of these platforms, so you’ll have to learn to navigate them and take the good with the bad. Authors love Kindle Direct Publishing overall. It’s the primary reason that the indie publishing market has taken off and why so many aspiring authors have been able to carve out writing careers beyond the borders of traditional publishing. The biggest complaints overall are the exclusivity restrictions of the KDP Select program, the fluctuating KU and KOLL per-read payouts and the fierce competition. KDP clearly is not a get-rich-quick avenue for most, but a diligent author willing to learn the ropes can gain a following and make money. Authors love the one-stop-shop approach of using Smashwords to distribute e-books beyond the borders of Amazon. Yes, this approach does reduce the royalties on e-books sold via Smashwords by about 10 percent. However, authors that use Smashwords are quick to point out the time involved in creating and managing listings on numerous e-book marketplace platforms. Most clearly would rather spend this time writing and feel the 10 percent is money well spent. Complaints about the platform center on its archaic knowledge base and how-tos. In short, be prepared to read to find out what you need to know. Also, authors complain that Smashwords .doc e-book converter — lovingly termed “the Meatgrinder” — is finicky. Our solution is to format our e-book ourselves, upload a perfect .ePub file and avoid the Meatgrinder altogether, which worked like a charm. Self-published authors don’t have to choose between Kindle Direct Publishing vs. Smashwords. Anyone can publish e-books on both and reach e-book buyers and readers across virtually all e-book marketplaces. The real decision comes down to whether the promotional benefits of enrolling e-book titles in Amazon’s exclusive KDP Select program outweighs the added distribution benefits of Smashwords. Most authors and e-book publishing experts that we queried recommend that authors try both platforms. Start with Amazon Kindle Direct Publishing, tap KDP Select’s many benefits for new rollouts, then move older titles out of KDP Select and add them to Smashwords. This is how many indie authors make the most of both platforms. However, if unfettered free e-book distribution is your main goal — say for business marketing needs — then Smashwords is the best solution. Do you use Kindle Direct Publishing or Smashwords to self-publish e-books? We’d love to learn about your adventures in publishing and hear your thoughts on these platforms in the comments below.